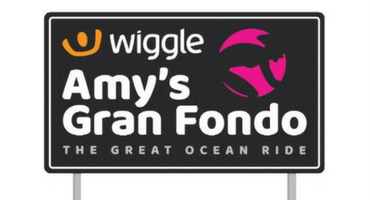 Wiggle Amy’s Gran Fondo is pleased to announce a host of new events, great for racers, competitors and spectators alike! Amy’s Family Fondo Lorne is the perfect ride for families and children who want to enjoy a gently undulating section of the Great Ocean Road – fully closed to traffic. Amy’s Family Fondo course takes riders 7km along the Great Ocean Road from Lorne to Cumberland River where they turn around and return to Lorne. New in 2017, a perfect ride for families and children who are staying in Apollo Bay. Departing Apollo Bay at 9:00 am the ride follows the beautiful Barham River Road to the Paradise picnic ground and return on fully closed roads. After the success of the women’s NRS events in prior years, the men want in on the racing action. The cream of Australia’s domestic professional mens teams will race a criterium on Saturday in Lorne before lining up on the start line of the Gran Fondo course on Sunday morning. Both races will test the men physically and the teams tactically, which will ensure some fantastic racing against the spectacular backdrop of the Great Ocean Road. Hot dog courses are generally considered the most challenging for criterium racing, but that’s about to change with a revised layout for the 2017 Amy’s Otway Tour Criterium course. Both the men and women of the National Road Series will tackle the revised circuit course on Saturday afternoon in Lorne, a course that now includes the infamous ‘Wall’ which whilst only measuring 110 meters long, has an average gradient of 15%. Cyclocross racing will hit the Apollo Bay foreshore on Saturday afternoon with this new inclusion to the Victorian CX Series. Never before has CX racing in this series taken to the beach and it’s surrounds, so this is destined to be a must-race and must-watch event. Cyclocross is one of the fastest growing segments of the cycling industry with its combination of road and mountain biking attributes which contribute to it being so engaging to watch from the sidelines.